Just dropping a note regarding the upcoming September 2013 New Moon on September 5, 2013 and the ritual downloads...I will be out of the country for this New Moon (which falls on my birthday and will feature prominently in my Solar return :)) I will not have internet access from noon (US EDT) on September 3rd until September 7th...it may be best to order prior to September 3rd if you want to use the ritual(s) and tend to have trouble with the instant download. 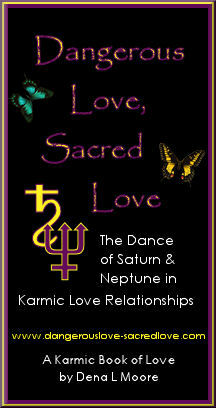 The New Moon Rituals as well as the September 2013 Astrocalendars are already available. Saturn is a powerful energy in my life, being stationary retrograde and the handle of my bucket chart. He dominates from the 8th house and co-rules my MC with the Moon and Pluto (my Saturn/Pluto midpoint is exactly the degree of my MC) and...rules my 4th house. The intricacies of his energy in my chart and life never fail to surprise me. (see my natal chart here). During Saturn's recent station direct (right on top of my natal Moon), I was struck with the urge to write a new ritual in his honor...the results are my latest ritual, Saturn - Osiris - Green Man Transformation and Rebirth Ritual. While many consider Uranus as the planet of change and the ruler of Aquarius, Saturn is the potent ancient planetary ruler of the sign and is the energy we all use to make permanent, solid changes in our lives. Uranus may spark us with inspiration and jolt us out of stagnation, but Saturn is what grounds us and allows us to build (or rebuild) our lives once Uranus shakes us free – strangely enough, Uranus is the god who buried all of his children alive but now is the energy bringing sudden change. Perhaps it is the ‘outside’ energy – beyond our boundaries – that jolts us, as Uranus is so foreign and detached from what it means to be human and alive on Gaia. Saturn can be considered the cornerstone of life on our planet, which is why various religions worship him…some even consider Saturn as YHWH – the God of the Abrahamic religions. Saturn is, and has always been, a stronger, more accessible energy than his father, Uranus, within the human psyche. As Ouranos (Uranus), the sky, lay around the earth, he begat many ‘children’ but refused to let them be born out of the earth. This stretched and strained Gaia, who turned to her buried-alive children seeking relief. Saturn was the only child willing to do the deed and, as he dismembered his father with the sickle Gaia gave him, he severed the sky from the earth, separating the male and female principle with one sharp blow and ascending as the primary god, the ruler of Sky, Earth, and Sea. Saturn was the first male deity to concern himself with mortals and worldly concerns. If we consider the mythology we may realize that Saturn’s actions against his father brought about the most significant, longest-lasting change than any other action in the mythological history of the Earth. Saturn, our strict father, is very much his mother Gaia’s child - he is, and always has been, an agricultural god. Although he reigned over the sky and sea as well as the earth, the earth is where he truly feels at home, the earth from which he was born. The Egyptian God Osiris is said to be the planet Saturn and I personally connect both Osiris and the Green Man to Saturn – all are symbols of rebirth and transformation. All three are connected to the underworld as well as the fertile vegetative growth on Earth. All three are symbols of the cycle of life – death – rebirth and the passage of time. For this ritual, you may attune to any or all of the three gods, depending on your personal path, belief system, and intuition. In other news, it's been a CRAZY busy and unsettled month...I am preparing to start on the August Calendars tomorrow but they may be late this month. Hope not! The Moon joins the Sun at 11:56 am EDT in the sign of the Twins at 18’01 degrees. The Sabian Symbol for this New Moon is A Large Archaic Volume Reveals a Traditional Wisdom. The underlying tone of this degree can be read two ways – fitting for Gemini - and we, of course, can read as much or as little into it as we wish. A big old book with fading pages and fragile edges can reveal mysteries we have long forgotten, for better or worse. Knowledge is power; there is an almost ominous tone if we look a little deeper and realize that knowledge, in the wrong hands, can be – and is - used to control most of us in varying degrees. That same knowledge in the right hands, the gentle hands of a truly spiritual caretaker of Wisdom, can help guide us forward and provide a solid understanding that perhaps the ancients, who were more in tune with the cycles of the planet and Universe, knew much more than modern society has given them credit for. Traditional Wisdom can serve us well, if we are wise and read the ‘big book’ with an open mind and open heart. The answers to some of our most pressing modern issues can be discovered at this New Moon, if we care to look into the past…if we can look clearly and without fear. We have two very tight square formations at the time of the New Moon. Mercury at 11’46 Cancer is issuing a challenge to Uranus (11’54 Aries) while opposing Pluto at 10’51 Capricorn. This is a transiting T-square with Uranus as the apex planet. What does Uranus want, and will Mercury give it to him? 11 – 12 degrees Libra is the target (or release) point. On a personal level, family secrets may be revealed during this New Moon, perhaps due to a sibling’s loose tongue. Someone close to you, or you, yourself, may have an emotional crisis due to a disturbed relationship. The Sabian Symbol for 11 – 12 Libra is Miners Are Surfacing From A Deep Coal Mine…it’s a very fitting description for a Mercury – Pluto opposition. Deep thoughts, buried secrets or desires rising to the surface, and old wounds re-opening are all possible now. This energy signature is reaffirmed with another square between Mars at 5’50 Gemini and Neptune at 5’22 Pisces…there is pressure here to actively go below, to dive into the sea and search for what lurks down there in the darkness. Although things may seem somewhat dire, there is a solid and supportive trine with Venus (6’48 Cancer), Saturn (5’30 Scorpio), and Neptune (5’22 Pisces). Any painful situation can be overcome, healed, or let go of but sometimes we have to lance the wound first and let it bleed. Somewhere in that big ol’ book there will be an answer, a solution, or a remedy that you need. Many of us may be tempted to just skim through and look at the shiny pictures, courtesy of the Gemini energy, but those who will gain the most from this New Moon will be the Mercurial-Plutonians, the ones who aren’t afraid to learn the truth. I am also offering a new monthly merchandise raffle/cash drawing...read more here and enter to win. Greetings! The January 2013 Astrocalendars are now posted. I have discontinued the UK/GMT Calendars and the Hawaii HST, at least for now. I have several new projects on the burner, am back to homeschooling my son full time, am busy running both of my businesses, and I have been carrying a full client load for many months so I am cutting back on some of the free (and paid) services I've been providing for many years. Cutting off two of the calendars saves me around 15 - 18 hours a month in writing/coding/updating and as these two calendars were the least used, they didn't make it off the cutting block. I may bring them back in the future but as I'm somewhat unpredictable, it's anyone's guess. I will continue to offer the remaining 3 versions throughout 2013 and hope to start offering 2 - 3 months ahead again. Have a blessed New Year and may 2013 be your best year yet! Aloha and many blessings for the upcoming year! I wanted to take a moment and let my clients, (past, present, and those considering:)) know of my upcoming leave and current availability. I am going on leave from from February 10, 2013 - April 1, 2013 and will be taking this time off from all readings, consultations, and other service work. 1 Written Karmic Reading (Soul Path or Karmic Synastry) - this will be taken off the schedule if not booked by Jan 5th due to the 3 - 4 weeks it requires for completion. Once those openings are taken, I will begin scheduling for April 2013. Please schedule soon if you are interested in working together in the near future. I will be off all client work completely during my break, including reading & answering email (there will be a notice on the site), so please be aware that if you contact me during my break, there will be quite a wait for my response. The Moon Rituals will be available as ususal and all physical sales from my ebay store and online shops will be remain business as usual. “I cannot recommend a reading from Dena highly enough. A totally unforeseen and unlikely stream of events had turned my life and the lives of people close to me upside down around ten years ago. In the pain and traumatic upheavals that followed, I researched and studied psychology, metaphysics, astrology, tarot and many healing modalities. I prayed, meditated, sought help through psychotherapy and past life regressions, all whilst training to practice as a coach, healer and astrologer myself, yet could still never find the peace of mind I was looking for. During that time I also found a few people I imagined would be able to help me clarify events though personal readings. Unfortunately I was usually left feeling more hopeless than ever after these’ readings’. To be honest, I had all but given up any hope of finding any answers to why things had happened the way they did, even though I firmly believe that the Universal Intelligence always balances and that there was definitely an order to all of this even though I myself could not see it. Then one day not long ago I came across an article on the web by Dena L Moore about the potential karmic links of Saturnand Neptune in synastry. It resonated with me immediately and I asked Dena for a consultation. Even after reading this amazingly clear and beautifully sound article, I have to admit to feeling a little sceptical about what a reading would throw up that I didn’t already know. So much of what I’d been told by other professionals just didn’t ring true to the energy surrounding this whole string of events and I had ended up feeling even worse afterwards! I needn’t have worried. Dena set me at my ease at the beginning of the consultation. I was struck immediately by her warmth, kindness and consideration. This gentle approach made the power of what followed all the more striking as Dena trotted out reams of past life information that was breath-taking in its ability to help me join up the dots with present day circumstances. Dena did not attempt to make predictions and I wouldn’t have wanted her to. What mattered was that since processing all the information from the reading, I am gaining the kind of peace that comes with understanding. I feel like I can relax inwardly for the first time in years. I’m not so crazy after all and there was a reason for everything. No matter what now unfolds, I feel there has been a profound healing for me and I cannot ever thank Dena enough. I will definitely be rescheduling. I am gradually phasing out the Moon Ritual Newsletter and will instead be offering 3 rituals per New and Full Moon monthly (most of the time, sometimes there will only be 2 choices). I hope everyone finds the wider selection valuable and helpful. For now you can still subscribe the the newsletter but I will be phasing it out over 2013. The Full Moon Rituals for the Gemini Lunar Eclipse are also available...I will post the links on the blog over the next few days. I am a bit late posting the winners on the blog but Congratulations to RD of San Diego, CA and AG of Ann Arbor, MI. RD won a free box of Crystal Journey votive candles and AG won a free Moon Ritual subscription. Venus Illuminated Fine Metaphysical Gifts - Dryad Design, Alchemy Gothic, Pepi and Co, Coventry Creations, Crystal Journey, more...we are adding hundreds of new items to our new store. October is going to be a month to remember, no doubt about that with Saturn and Mercury - fingers interlaced - moving into Scorpio on the 5th, Jupiter turning retro early in the month, and the looming Mercury retro (coming up November 6th, but he enters the shadow period Oct 18) urging us to prepare for the 'party' scheduled for December. Venus moves into her own sign of Libra right before Samhain so we will surely spend a lot of time thinking about our relationships at the end of the month. I suspect many of us are quite tense - ok, I know this is true - but I feel that the underlying theme is that we are being asked to learn how to glide and land gently. If you have a crash landing, tend to the wounds but never give up your dream of learning to fly. I will eventually get back to my intense forecasts but I'm too Neptunian at the moment...I should be more grounded by March, but I've long since learned to flow and never push it when it comes to my writing :) I have to save what energy I have for my clients right now. In the meantime, I recommend Tom Lescher's weekly video forecasts and Planet Waves with Eric Francis. These are my personal favorites...very different in approach but both call to me. For now, I have managed to create the October US East Coast Astrocalendar and the Australia East Coast Astrocalendars. I apologize to everyone who uses the US West Coast, Hawaii, or the UK edition of my calendars...I simply don't have time to get them ready before the 1st, so I am offering the most popular editions. My Aussie clients and site visitors would hog-tie me if I didn't have it ready for them on time (just kidding, but there is some pressure there, lol) - I love that I'm so loved Down Under :) I will be back on track for November. Have a blessed Full Moon! Aloha...just a brief update to announce that Dangerous Love, Sacred Love is on sale through August 22, 2012. Get a great deal, gain new never-seen-before insight into Saturn and Neptune and help me fund my rapidly upcoming trip to Singapore. This trip marks the beginning of a new (top-secret, lol) astrology project as well as a new life for me. Visit the Dangerous Love, Sacred Love website to learn more or to place an order. Valid on the 24 hour email delivery option only (that means that I personally send you the PDF version of the book via email). I got to learn about Dena's work when I was looking for some information on Saturn, that led me to her website, and I got very interested in her presentation of the various aspects of Astrology. Her knowledge is impressive, and she is very gifted at communicating it in a very inspiring way. I knew Dena was working on a book about Saturn-Neptune contacts, and I could not wait to read about it. Well, I love LOVE her book !!! I have never read such a deep and caring analysis of Saturn-Neptune in synastry.Dena brings you to a new level at understanding the challenging and complex dynamic of those 2 planets. Her wisdom combined with her insightful awareness of the subtle energies of the human soul makes her book even more valuable than if it was just another study on Saturn-Neptune. A real feast for those interested in learning more about themselves and their relationships, or for those looking to deepen their knowledge on Astrology. It certainly did give me both ! The Moon darkens in Leo this month - 25'08 degrees - in the Arabic Moon Mansion 12. This Mansion is about rectifying mistakes and starting out fresh -how many of us need this right now? I've chosen the Integration and Reconsideration Ritual as my first choice and Developing Inner Peace as the alternative for this energy. The Integration and Reconsideration Ritual will help us to understand how our past mistakes have helped shape who we are now and integrate the energy into our current life. As we come to an understanding and acceptance, we will release any inner tension surrounding our past mistakes and free ourselves to develop a more positive future. The Developing Inner Peace Ritual will help us accept and love ourselves for who we are and enable us to take those steps necessary to develop inner peace with ourselves...as we become more self-loving we will be able to feel more compassion toward others and shine brighter than ever. The Moon will grow full in the sign of Aquarius, reaching full illumination at 10'15 degrees of Aquarius in Arabic Moon Mansion 25 - the mansion of the Rebel. I love the energy in this mansion...somehow I picture the Fool and the Tower combined, or perhaps the Fool dancing a jig on the ramparts even as the Tower crumbles. Is he being foolish or is he simply wise enough to know that we shouldn't fight fate? The Full Moon Rituals (for the first full moon of the month - yes, there are two in August 2012!) are available. My first selection is the Gaining Strength Ritual. This ritual is for increasing our faith in our abilities, gaining strength of personal conviction, and being open enough to put our ideas out into the public. My alternative selection for the first full moon in August 2012 is the Uranian Flow Ritual (with the 3 of Wands). This Full Moon in Aquarius Ritual is a 3 day ritual. Combining the Uranian energy of this Full Moon in Aquarius with the power of the tarot will enable us to reach further, gain deeper insight, spark our creativity, and liberate ourselves from outdated beliefs, circumstances, and associations. The August New Moon Rituals are also ready now. The first selection is the Integration & Reconsideration Ritual. This New Moon in Leo Ritual will help us to understand how our past mistakes have helped shape who we are now and integrate the energy into our current life. As we come to an understanding and acceptance, we will release any inner tension surrounding our past mistakes and free ourselves to develop a more positive future. My alternative selection is the Developing Inner Peace Ritual. This New Moon in Leo ritual will help us accept and love ourselves for who we are and enable us to take those steps necessary to develop inner peace with ourselves...as we become more self-loving we will be able to feel more compassion toward others and shine brighter than ever. I will post the 2nd full moon rituals for August once the 1st one has passed. I will be in Singapore for 3 weeks in September doing research for a future astro-project...I already have my plane ticket but as time grows closer I find myself struggling to save anything toward accommodation while there. As some of you may know, I was very ill for weeks earlier this year with pneumonia and I am working hard to get back on track with my client load and writing schedule...but I am still not able to do as much as I used to! I am reaching out to my readers, friends, and clients for any help you may be able to give me at this time. I only have 30 days left to finalize my travel itinerary. In return, I am offering a drawing to be held for everyone who donates. There will be two drawings held. For everyone who donates $1 - $4 I am offering a drawing for a one month subscription to the Moon Ritual Newsletter (all 4 rituals) or 3 votive candles. For everyone who donates $5+, they will be entered in the bigger drawing below. The drawing for all donations over $5 will be for a box of 18 reiki charged candle votives, to be shipped anywhere in the world free of charge. You can mix and match the candles and select any variety of the votives you like. These are my favorite manifestation reiki candles and I've been using them (and selling them!) for over 10 years now. The value is approximately $35 - $45 (including shipping). If you prefer a reading or jewelry instead, I am also offering a 30 minute astro-tarot consultation or any jewelry item I carry (valued up to $45). If donations reach the $500 level, I will have my children randomly select 3 email addresses from a jar in both drawing categories. If donations fall below $500, we will select one winner in each drawing category. Those who donate $20+ will be entered in both drawings. You may enter as many times as you like by making another donation in any amount. To register for the drawing and to donate to help me pay for accommodation in Singapore, please donate any amount by clicking the button below. I will update the totals received weekly when I post the Karma scopes. Thanks so much for making this a possibility for me. Also, if you live in Singapore or are willing to travel to Singapore in December and would like to be of assistance to me, please contact me directly at Dena@throughnightsfire.com. I will not publicly divulge the details here but you do not need to know astrology. Local knowledge of the area is preferred and I would only require 1 - 2 hours of your time in person. Volunteers are welcome but payment is also a possibility. I am in need of two interested individuals. Perhaps you are looking for a new avenue of expression, whether it is in a relationship, at work (no matter what your occupation), or, if you are an artist, in your artistic endeavors. This New Moon ritual will help heighten your creativity by helping you see the endless possibilities when you combine old techniques, thoughts, and ideas with the new. NOTE: This is a 3 DAY ritual and requires 3 days of work. It is to be worked on July 17, 18, & 19th. For relationships that are rocky, this spell will help you reunite in trust, peace, and love. For relationships that are steady and fantastic, this spell will bring even more satisfaction with your relationship. If you are looking for love, the Moonlight New Moon Love Spell will help you open up and invite love to come into your life. I am an Intuitive Evolutionary Astrologer,an avid traveler, Metaphysician, History buff, herbalist, poet, & student of the Universe. Free Horoscopes | Zodiac Signs - 12 Signs of the Zodiac Explained. Accurate Free Horoscopes for your Star Sign. September 11, 2001: Studying the Dust from the World Trade Center Collapse - On September 11, 2001, as the twin towers of the World Trade Center exploded and collapsed, clouds of dust billowed into the sky and across the city. In our sometimes harsh and unforgiving world a belief in the Guardian Angel restores our faith in our own spiritual selves and renews our potential for divine good works on earth! Your color banner, descriptive text, and a static link direct to your site (see examples on this page). Smaller graphic or text links available as well. Email me with your proposal at Dena@throughnightsfire.com. I also offer advertising space on my various websites. Contact me. Your color banner, descriptive text, and a static link direct to your site (see examples below). Smaller graphic links available as well. Email me with your proposal at Dena@throughnightsfire.com. I also offer advertising space on my various websites. Contact me. Warrior Defender of the Light - available with many different gemstones. Also available in gold. Venus represents love, friendship, culture, pleasure, harmony, and signifies creativity and the arts. This talisman consists of the second and fourth pentacles of Venus. Venus Illuminated also carries the Sun, Moon, Mercury, Mars, Jupiter, and Saturn Planetary Talismans.